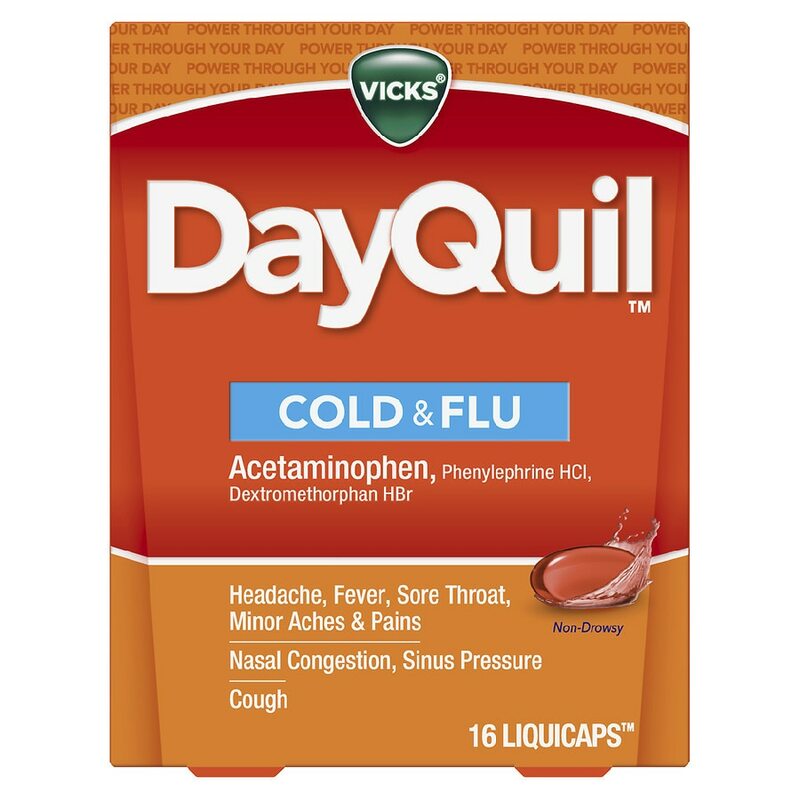 Power through your day with the non-drowsy, multi-symptom cold and flu relief of Vicks DayQuil LiquiCaps. Temporarily relives common cold and flu symptoms including nasal congestion, cough due to minor throat and bronchial irritation, sore throat, headache, minor aches and pains and fever. When using other DayQuil or NyQuil products, carefully read each label to insure correct dosing. Use as directed. Keep out of reach of children. nausea, or vomiting, see a doctor promptly. • cough comes back, or occurs with rash or headache that lasts. Temporarily relives common cold and flu symptoms including nasal congestion, cough due to minor throat and bronchial irritation, sore throat, headache, minor aches and pains and fever.